Though Japan remains a relative oasis for smokers, rules and regulations regarding demon tobacco continue to get more stringent, and some 50 percent of smokers have said in surveys they plan to quit when cigarette taxes are increased next month. The thing is, it’s getting more and more difficult to find a place where you can smoke in peace. It’s even getting difficult to light up at home. This is especially true of smokers who live in apartment buildings or condos. 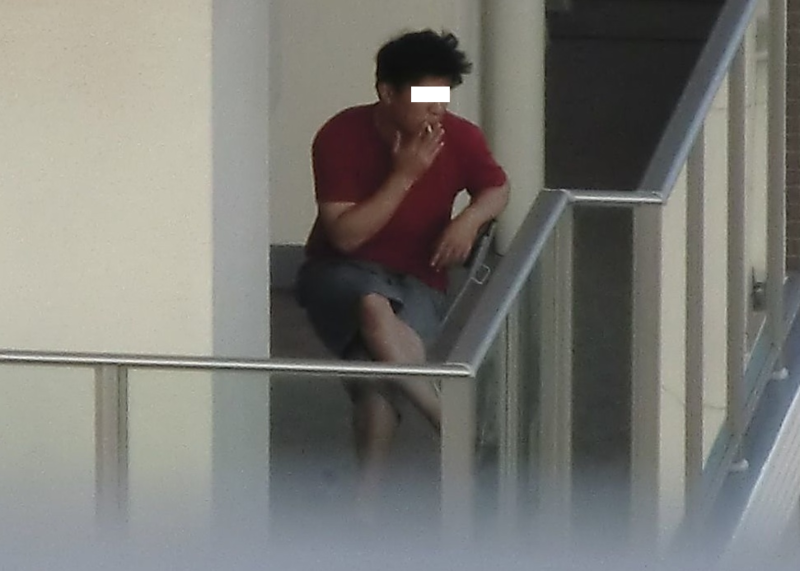 A neologism that has popped up recently is “hotaru,” which means “firefly” and refers to men (it always seems to be men) who go out on their balconies to have a smoke. They are called “fireflies” because the glowing ash of their cigarettes give them away in the dark. Either these men are saving their families from their habit or the families have banished them to out-of-doors, but in any case their exile to the veranda often irks the neighbors, especially those who live upstairs. Newspapers are increasingly filled with letters to the editor complaining of the hotaru scourge, with writers claiming that the smoke from neighbors’ cigs aggravates their children’s asthma or discolors the window sashes or forces them keep the windows shut in hot weather. In condominiums these hotaru-zoku (tribe of fireflies) cause all sorts of communal rifts, especially since verandas are considered “common space,” and in more and more coops smoking is banned in common spaces. Building managers have to enforce these rules, which is pretty difficult to do. After all, what kind of punishment do you impose? You can’t kick the guy out, he owns the apartment.